Popular Picks - On Sale Now! 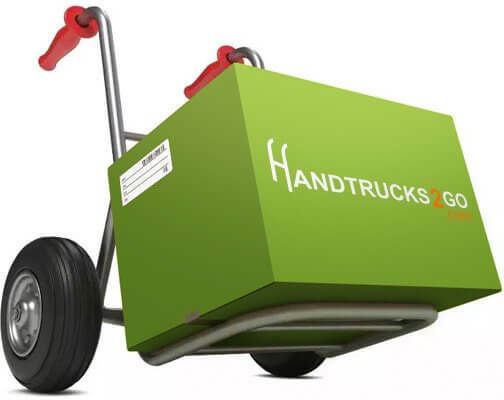 Handtrucks-2go is a "one stop shop" for all your moving equipment needs. 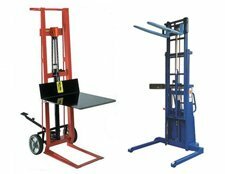 From a simple hand truck to an industrial strength lift truck stacker, we have the knowledge and experience to provide you with the assistance you require in order to find the product that best suits your needs. 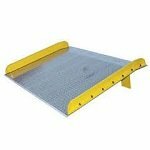 Browse our wide selection and note our unbeatable prices. 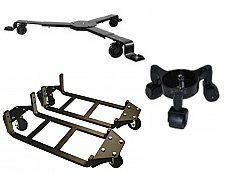 Whether you are shopping for your warehouse, store, or for personal use, Handtrucks2go is the only way to GO! 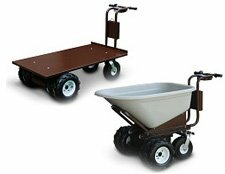 Why Buy From Hand Trucks 2Go? 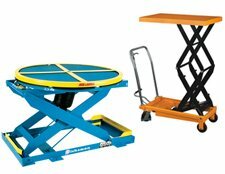 Best PricesWith the best prices, Handtrucks2Go offers the best solution for all your moving equipment. 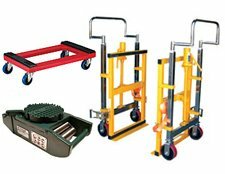 Whether you are looking for a single hand truck or a whole warehouse of equipment, we give our customers the most user friendly site. 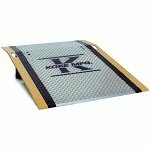 We include free shipping on hundreds of products. Remember, if you can’t find something online on our site, just give us a call us and we’ll be happy to locate it for you. 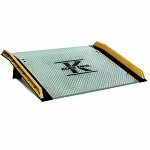 Your Satisfaction GuaranteedWe stand behind all our products with a 30 day money back guarantee. Please see our Return Policy for full details and exclusions. 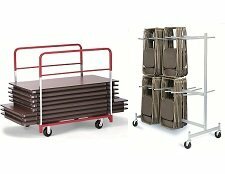 Highest QualityWe sell only high quality products WHICH are especially made for moving or stacking of merchandise or furniture, appliances or other materials. 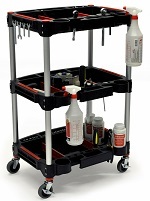 ALL are designed to last and last and to make your life easier – at home or on the job. 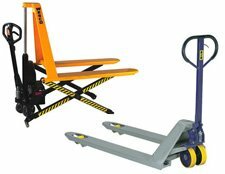 Great SelectionOur extensive selection of hand trucks, dollies, lift tables and lift trucks, carts or pallet jacks are made by leading manufacturers known for their quality and designs that make your job easier by being more energy efficient. 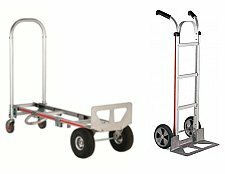 Handtrucks2go offers light weight solutions for small businesses or a homeowner and heavy duty options for manufacturers, stores and warehouses that demand a more robust product. 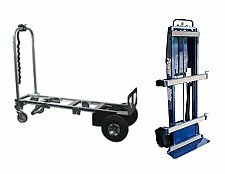 Top Notch Customer ServiceHandtrucks2go is proud of its experienced staff that is knowledgeable about our products and can offer expert advice if you need help in determining the best options for your needs. 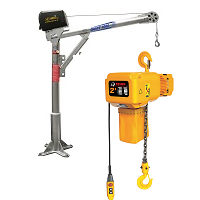 We pride ourselves that in spite of our continued growth over the years, we still take a keen interest in in everyone of our customers needs, developing satisfying long-term business relationship with our clients. 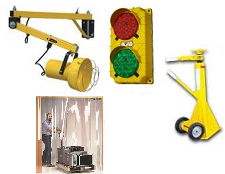 Industry LeadersOur goal at Handtrucks2go.com is to bring you the best moving equipment at the best price anywhere. 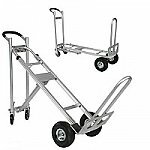 We carry a broad selection of hard to find hand trucks and carts as well as many customizable products, from a broad array of manufacturers, ensuring that you can find the item you need. 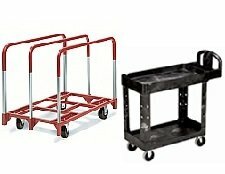 We are not happy until you are, we want your experience with us to be the most pleasurable one ever to keep you coming back any time you need any type of moving equipment for your warehouse, business, store or home. 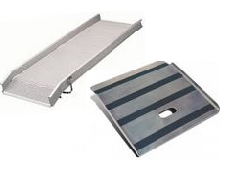 Handtrucks2go is a 100% American owned company based in New Jersey and we are proud to offer a large line of Made in the USA products. 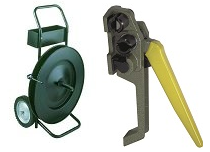 We have partnered up with nearly 100 exceptional manufacturing companies in order to provide our customers the very best product for their specific applications. 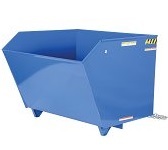 Our slogan at Handtrucks2go.com is “Count on Us to Keep You Rolling”. It is more than just a slogan to us. 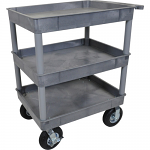 It is the focus placed on all of the orders placed through our website or through our Customer Service Desk. It is how we help our customers stay on track for accomplishing everything they need to keep their businesses operating and moving! Search all of our categories or search by brand. 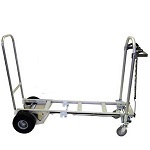 Some of our popular sellers include Magliner Hand Trucks, Convertible Hand Trucks, Heavy Duty Hand Trucks, Aluminum Hand Trucks, Appliance Hand Truck, Compact Hand Trucks, Electric Hand Trucks, Powered Stair Climbers, Drum Trucks, Platform Trucks, Plastic Hand Trucks, Build Your Own Hand Truck, Cylinder Hand Trucks, Steel Hand Trucks and Hand Truck Accessories. 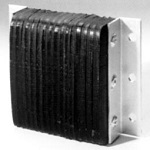 Online orders are available through this website twenty four hours a day, seven days a week. If you have further questions, the Customer Service Desk is ready, willing and able to help you. We are opened from Sunday through Thursday during 9:00 AM EST and 6:00 PM EST. On Friday, our office hours are 9:00 AM, EST to 4:00 PM, EST. Our service desk is closed on Saturday. 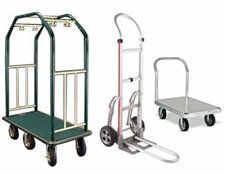 What type of hand truck is the best type for your business, office, school, or warehouse? 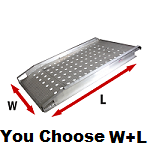 Whatever it may be, you can be sure to find it at Handtrucks2go.com!